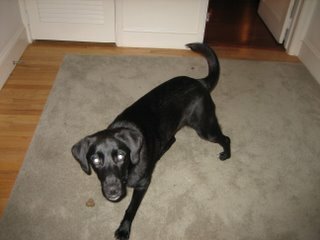 My mom picked out this adorable black lab mix on Friday. On Sunday, I ventured out to New Rochelle to meet the new dog. He likes squirrels, socks and my mom. Fears include the printer and the pet comb. With a crooked tail and a puppy’s curiosity, Clint is undoubtedly the most adorable member of my family.